I’ve been working on a new set of covers for my back catalog of poetry and short story books, which you can see below. In addition, I’ve quietly relaunched the poems from my youth, am in the process of bringing out a new book of micropoetry I wrote towards the end of last year, while starting work on a second micropoetry collection that I plan to spend all of this year compiling. 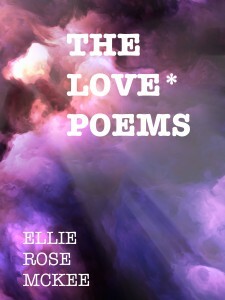 Once proof copies have been received and approved, I will be updating links here on ellierosemckee.com. Afraid of missing an important update? Subscribe to my newsletter here. It goes out three times a year (on average) and is completely free.